A modern twist on watercolour flower painting - learn to paint your houseplants in the comfort of your own home. London-based designer Nikki Strange takes you through 20 highly visual step-by-step projects. 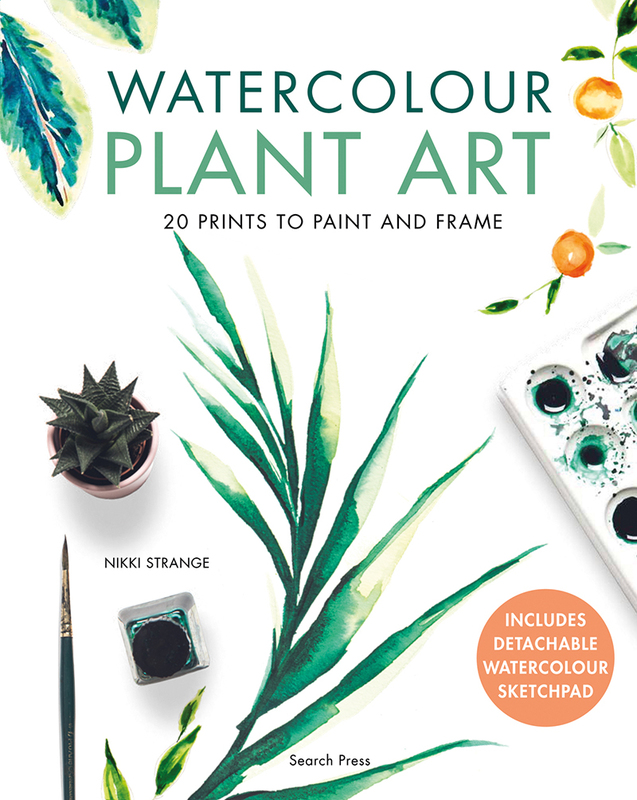 New and budding artists can learn to paint beautiful leafy balms, exotic flowers, succulents and more, so you can create a modern artwork that you'll love to display in your home, use as stationery or proudly give to your friends and family. The process of studying and recreating each plant is described in clear step-by-step instructions, accompanied by stunning photography and a clean, contemporary design. In addition, a 25-sheet sketchpad with outlines of all the projects faintly printed on the pages is attached to the book for you to draw and paint on, so you can get started right away.